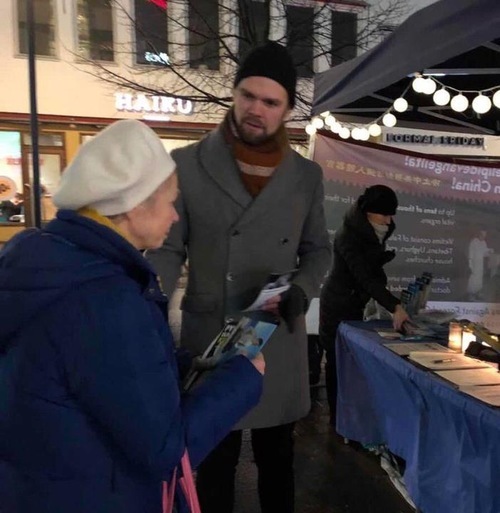 Falun Gong practitioners in Finland recently held two events to introduce the ancient Chinese self-cultivation practice to the public and raise awareness of its brutal persecution by the communist regime in China. 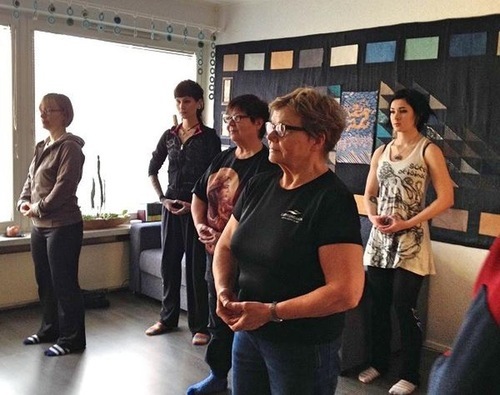 On February 3, practitioners held a free workshop at a local expo in Imatra, where they taught the Falun Gong exercises. Fifteen years ago, practitioners had a booth at the same expo. One of the attendees was interested in learning Falun Gong but did not have a chance to follow up. She recently ran into practitioners in Helsinki. After reading about the practice online, she invited practitioners to hold the workshop at the expo this year. Passersby sign the petition at the candlelight vigil in Helsinki. The other event had a different theme. January 27 is International Holocaust Remembrance Day. 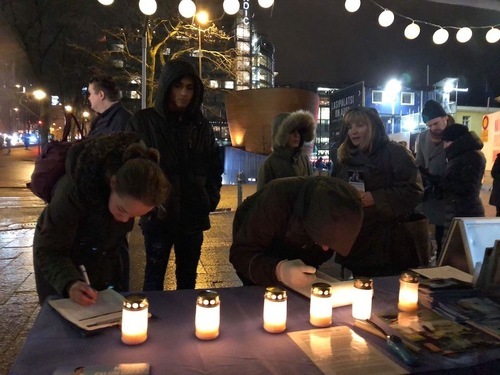 Practitioners held a candlelight vigil in downtown Helsinki to commemorate those who lost their lives in the persecution of Falun Gong in China. Many people stopped by to talk to the practitioners and sign a petition condemning the persecution. A local woman was in tears after hearing of the brutality of the persecution in China.